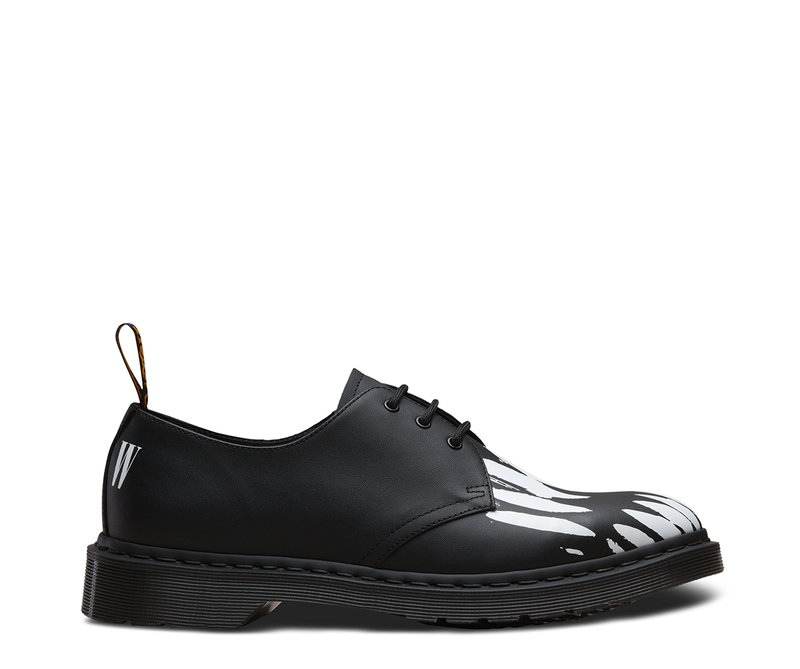 Dr. Martens x Pleasures is a tribute to 90s subcultures and a meeting of two rebels. 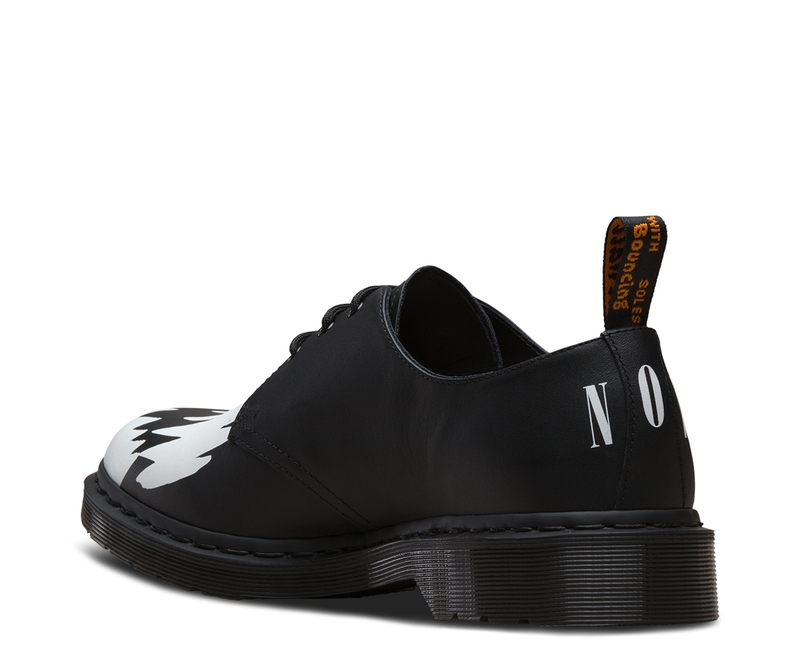 Unapologetically punk, this one-off rework of the 1461 is emblazoned with a monochrome teeth design on the vamp and ‘NOW’ lettering at the heel. Both graphics are signature Pleasures. Docs DNA is picked out in neon orange at the heel loop, while the laces and welt stitching are tonal black. Crafted from the highest-spec leather, the 3-eye shoes are finished with dual-branded sock art and arrive packaged in a neon-green dual-branded box. This 1461 is the second style that Dr. Martens manufactured, crafted for industry — and made rebellious by generations of non-conformists. Made using one of the finest methods of construction: the Goodyear Welt — which means the upper and sole are sewn together in a heat-sealed z-welt stitch. 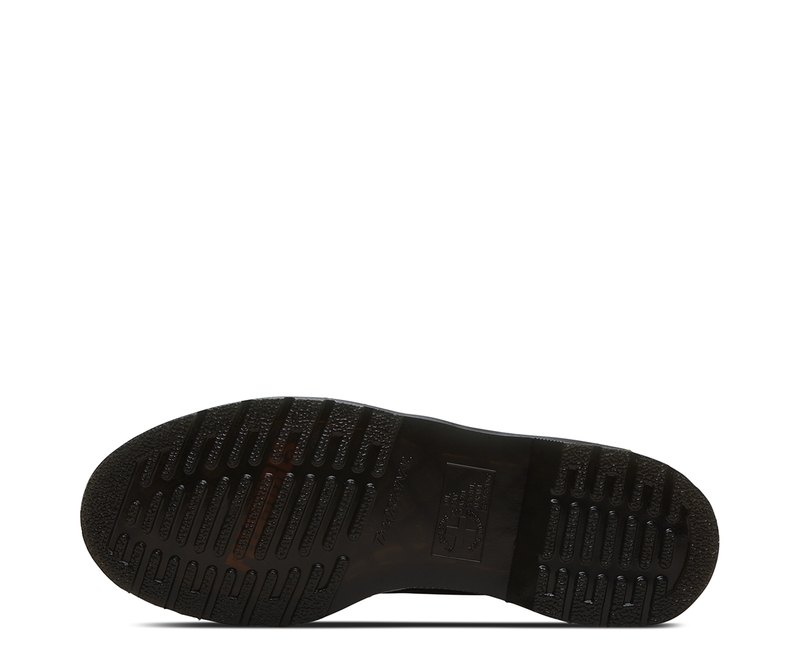 The shoe sits on our iconic AirWair sole, which is oil and fat repellent with good abrasion and slip resistance.